On Saturday, December 2, 2017 two of our VAA directors did what they usually do at this time of year and it all centered around happy sparkly eyed children and Santa Claus. 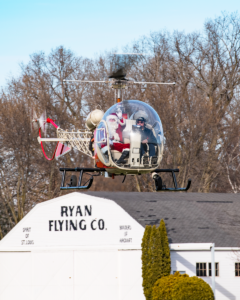 VAA Director Bob Lumley donned his Santa Claus duds and took to the sky in his sleigh which was expertly maneuvered to the EAA Museum grounds by Santa’s personal pilot, VAA director Joe Norris. 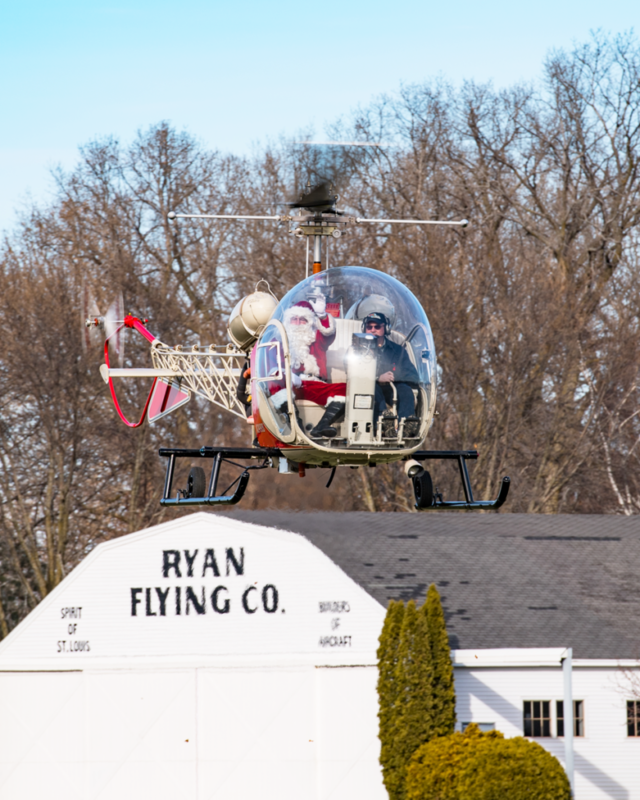 Actually, the sleigh was EAA’s helicopter but, heck, who was looking that close! All eyes were on Santa!! EAA’s Christmas in the Air began in 1984 as an open house to welcome and showcase to the City of Oshkosh and nearby communities EAA’s then brand new museum and headquarters building. On a typical Christmas in the Air Saturday, Bob will have over 300 children sit with him and tell him about their dreams for Christmas. Just how special is that! And, yes, Bob does have his own “Santa Chair” that was built for him by EAA elves in their toy airplane workshop. On one occasion in the last 25 years Bob was unable to assume his cherished role as Santa. His understudy was none other than EAA’s B-17 pilot and VAA Director George Daubner. All of us here at Vintage could not be any prouder of Bob, Joe and George who have all stepped forward over the past 25 years to keep the dream of Christmas in the hearts of thousands of happy bright-eyed children.